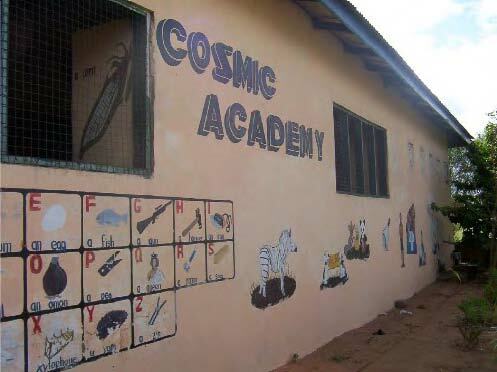 The Cosmic Academy is an early childhood development centre located on the outskirts of the capital city of of Ghana , West Africa . 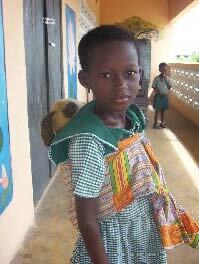 The academy was established by Jayaliila, a Ghanaian member of Ananda Marga. Her love for children inspired her to open a centre where children would be treated as the precious beings that they are and where the values of Neohumanism could be implemented. 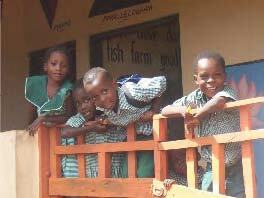 A loving donation by a volunteer provided the necessary funds to found the centre. Since its birth, Cosmic Academy has been operating for over 2 years now. for individual care and attention. The Cosmic Academy is striving to give each child the attention and esteem that they deserve. Through subtle direction the children acquire their individual and unique processes of learning and development. They are given the opportunity to explore the talents that are within them. 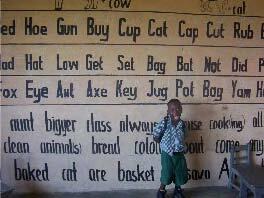 Throughout Ghana , the educational institutions are still mostly governed by colonial educative structures. In such systems the growth of the child is limited and there is little room for neither creative expression nor learning through play. At Cosmic Academy , the basic early childhood skills, such as colours, alphabet, numbers, shapes, etc are incorporated through various activities in which the children are engaged and involved in the learning process. Field trips are used to introduce exploratory environments and bring the learning arena to real life. It is easily agreed that all children are a precious creation. In childhood the learning acquisition is rapid yet has a lifelong effect. The Cosmic Academy is making the most of these formative years. The Cosmic Academy is where the child can thrive on the teachings of universal love within their own precious beings.